Currently , Zipline makes around 50 to 150 deliveries per day to 21 clinics in the western half of the country. UPS, the US delivery and logistics giant, helped ship all of Zipline’s equipment to Rwanda. 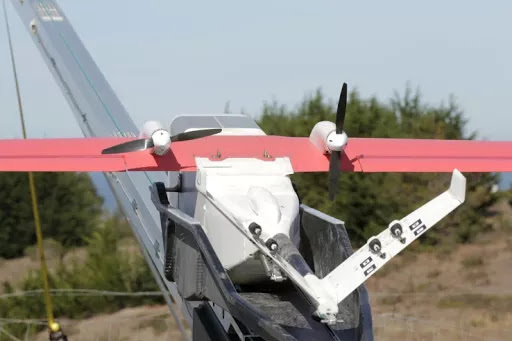 The UPS Foundation, the company’s charitable branch, had invested $1.1 million earlier this year in a project to investigate how such drone delivery could be expanded to other medicines and other countries. Currently for now the Rwanda service will just deliver blood, there are plans to expand into other medical areas, such as vaccines. Gavi, a public-private partnership which promotes vaccination, is partnering with UPS and Zipline on the research. But while drones are being hailed as a solution to many problems across Africa, ranging from HIV testing to elephant conservation, they aren’t a simple business. Rwanda’s regulators are treating them favorably, but those in other countries don’t. Kenya is worried about terror threats, banned commercial drones in January 2015. Ghana wants all drones registered and licensed, and is threatening hefty prison terms for anyone who doesn’t follow the guidelines. As usual Nigerian Officials have sought to cash in by making such licenses prohibitively expensive. South Africa, meanwhile, seems more lenient , though perhaps not so commercially savvy as Rwanda: it allows anyone over 18 to fly a drone for fun, but using one for business purposes requires onerous paperwork.